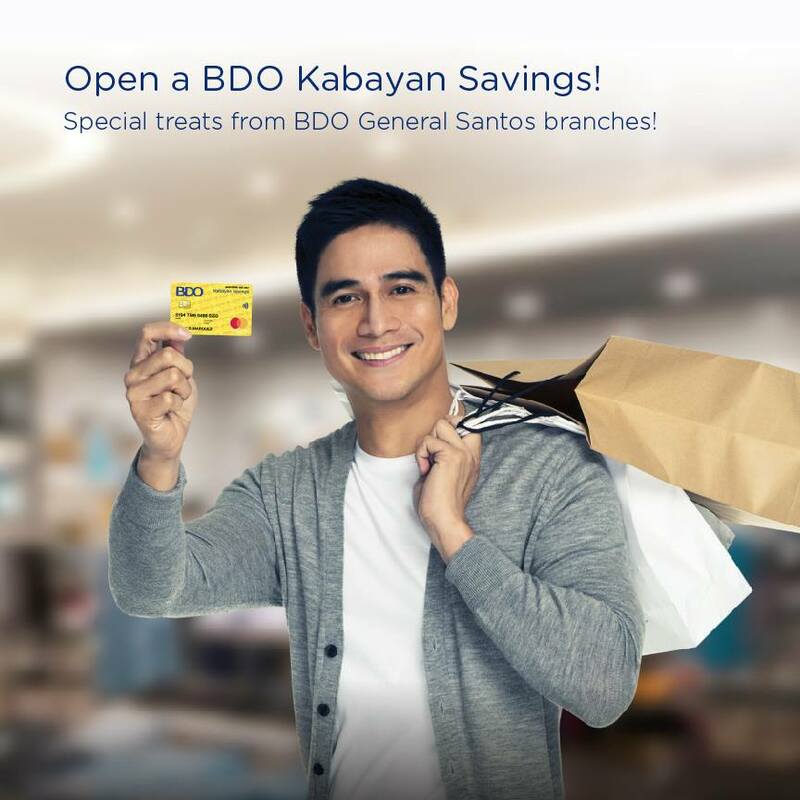 BDO Kabayan Savings account holders and in General Santos! Show your BDO Kabayan ATM debit card, SM Global Pinoy card or validated remittance slip at The SM Store of SM City General Santos to enjoy a 10% discount on a minimum Php2,000 single receipt purchase of regular-priced items from July 28-29, 2018. But wait there's more! Special treats await remittance customers in GenSan! Send Money to the Philippines via Forex World Australia and tell them to open a BDO Kabayan Savings account at participating BDO branches to receive gifts and surprises from July 2-31, 2018! General Santos - Santiago St.